A classic plaid pattern in neutral shades of brown, beige, tan and green are featured on the Plaid Ducks Unlimited Drapes and Valance. The drapes feature a colorful plaid with a Ducks Unlimited Logo border. The same Ducks Unlimited Logo border is also featured on the Plaid Ducks Unlimited Valance. A classic plaid pattern in neutral shades of brown, beige, tan and green are featured on the Plaid Ducks Unlimited Drapes and Valance. 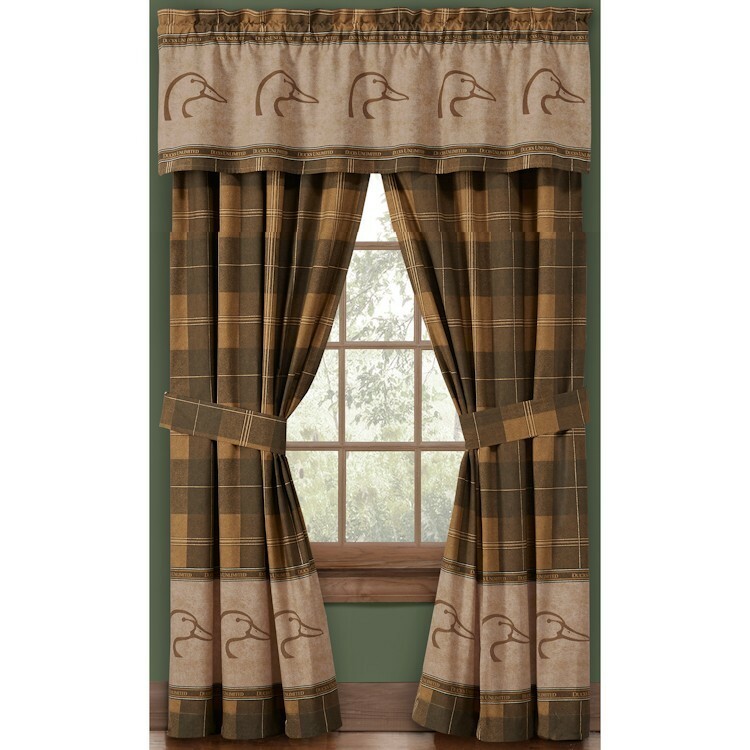 The drapes feature a colorful plaid with a Ducks Unlimited Logo border. The same Ducks Unlimited Logo border is also featured on the Plaid Ducks Unlimited Valance.